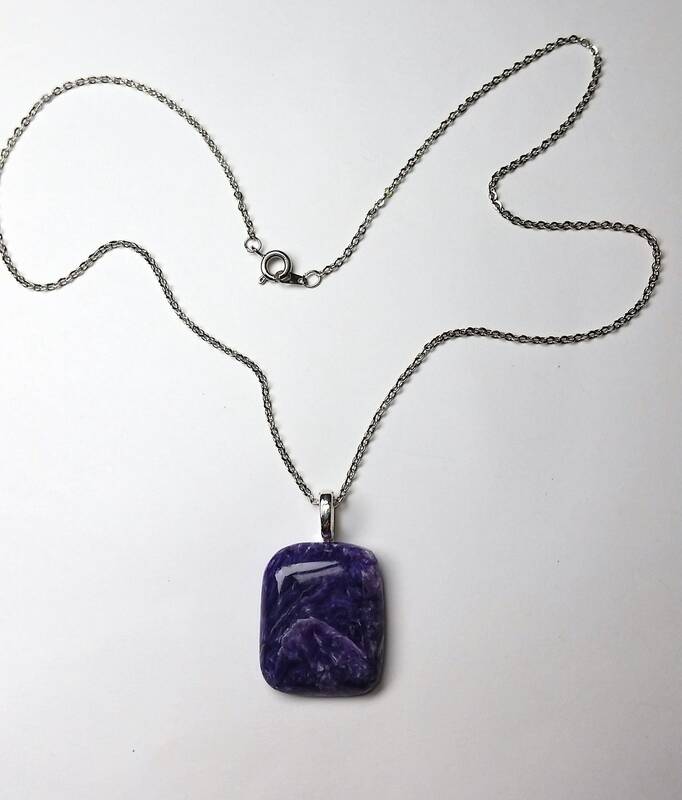 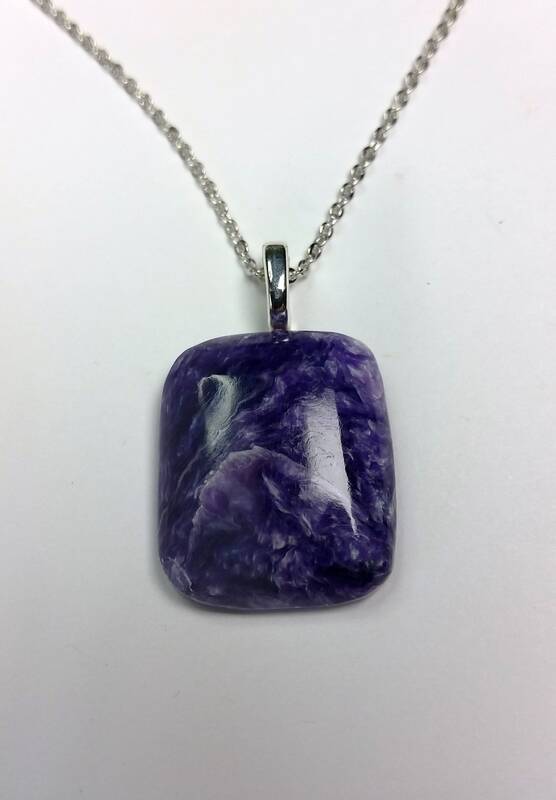 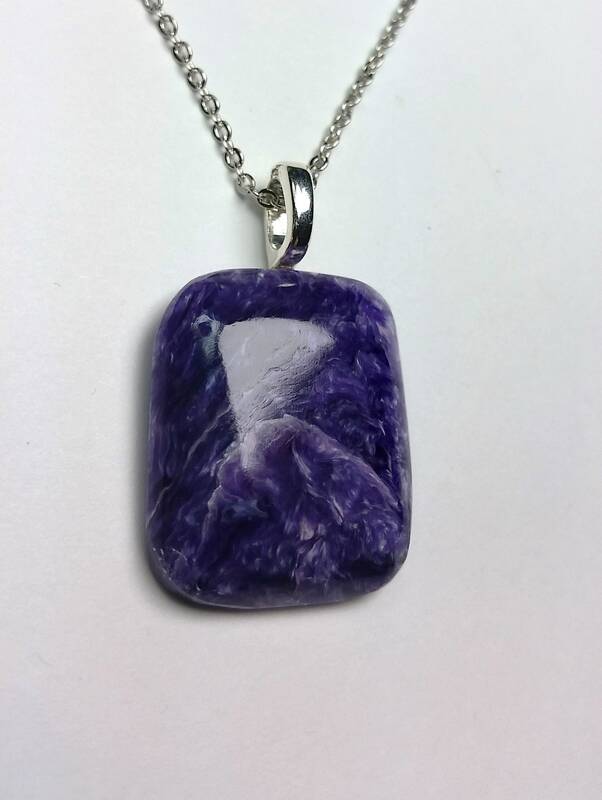 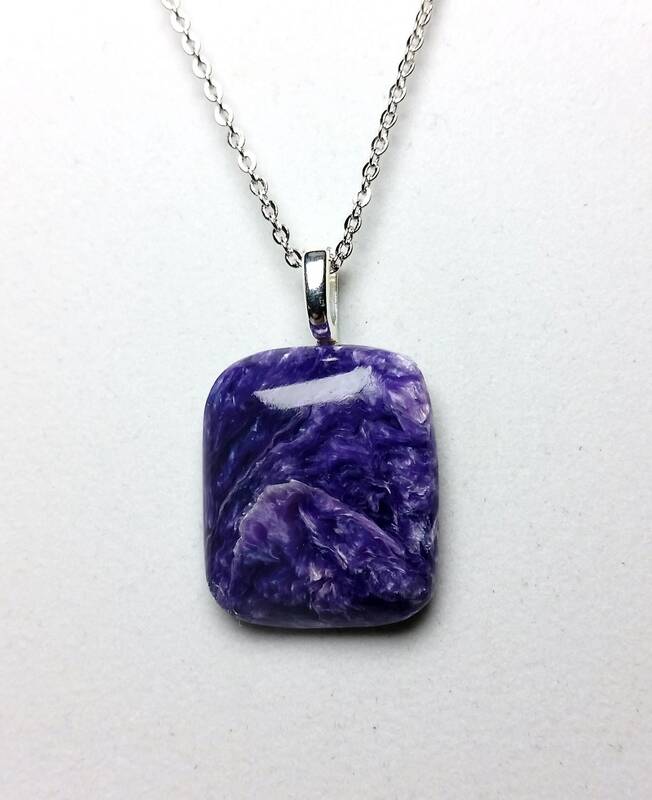 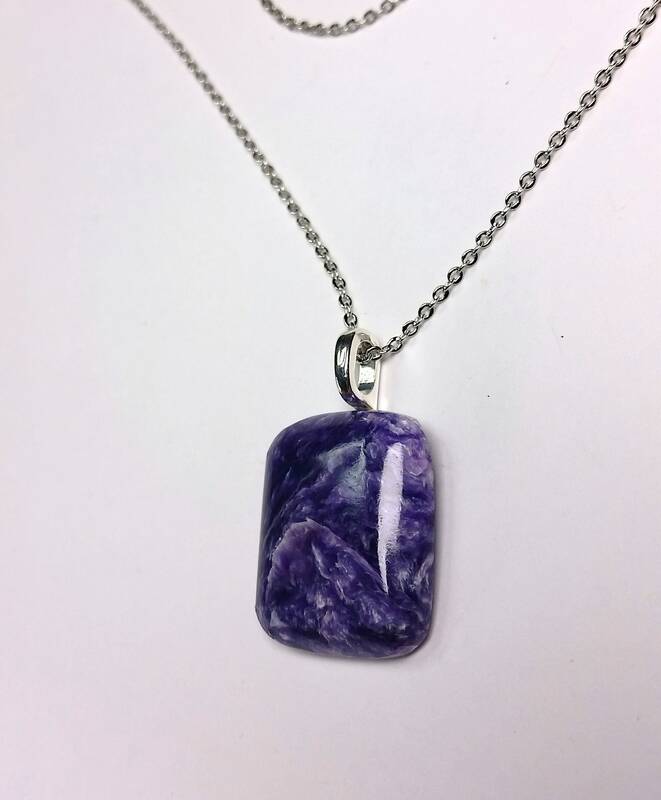 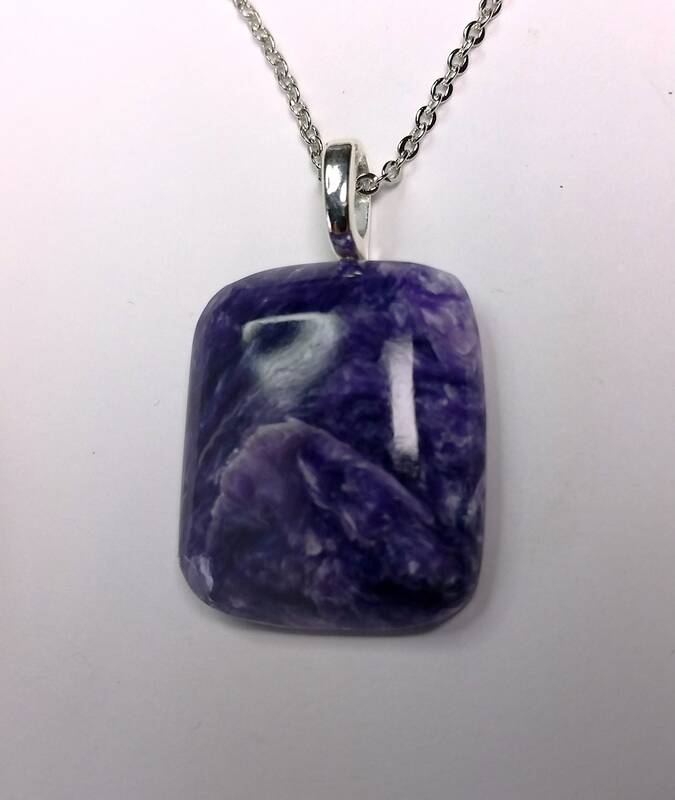 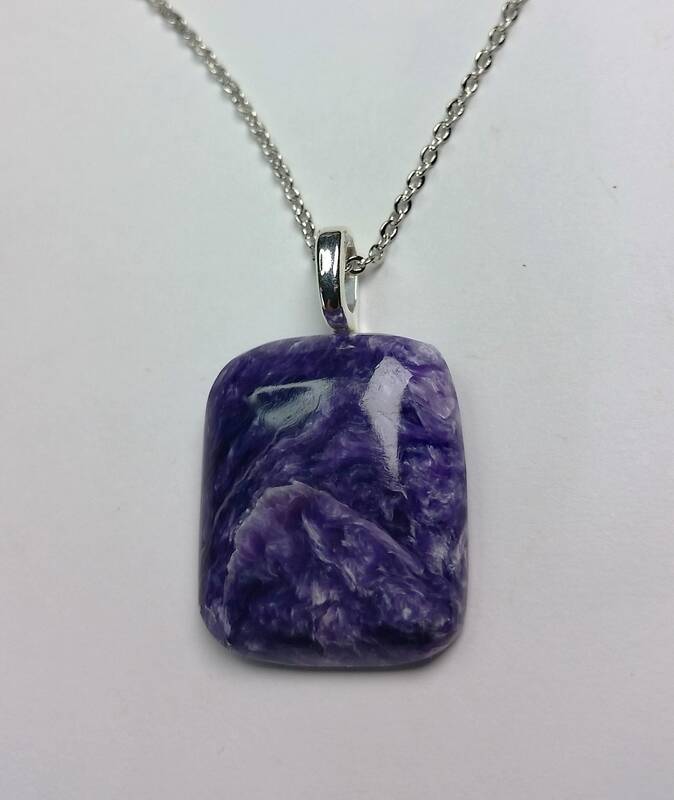 This charoite pendant is on a delicate silver plated chain that is 17 inches in length and closes with a spring style clasp. 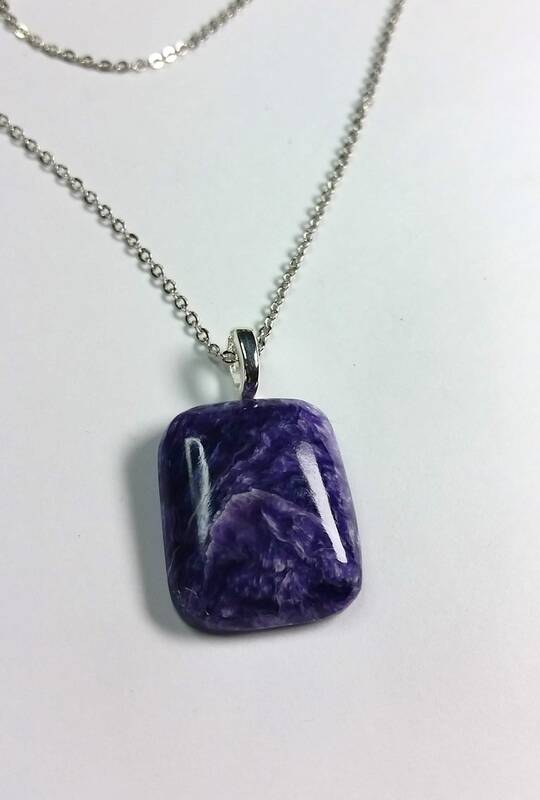 It has a glue on silver bail. 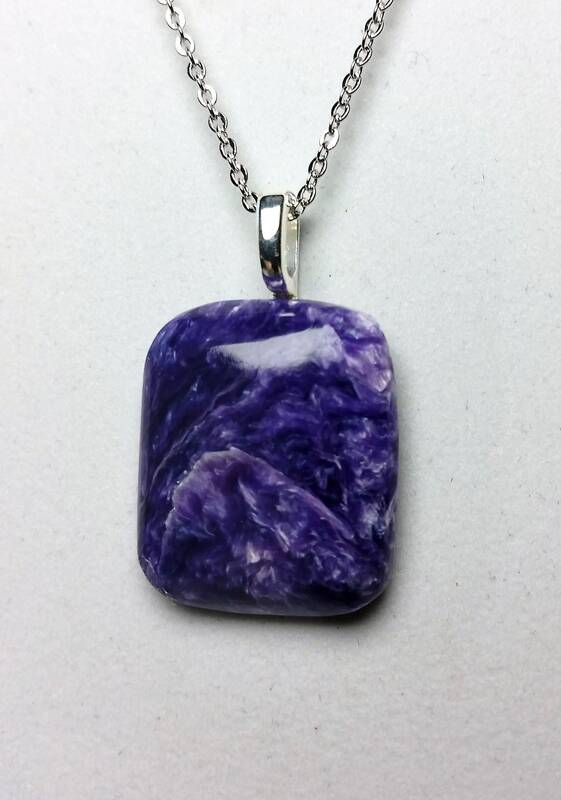 Charoite is a type of purple silicate with a swirly pattern. 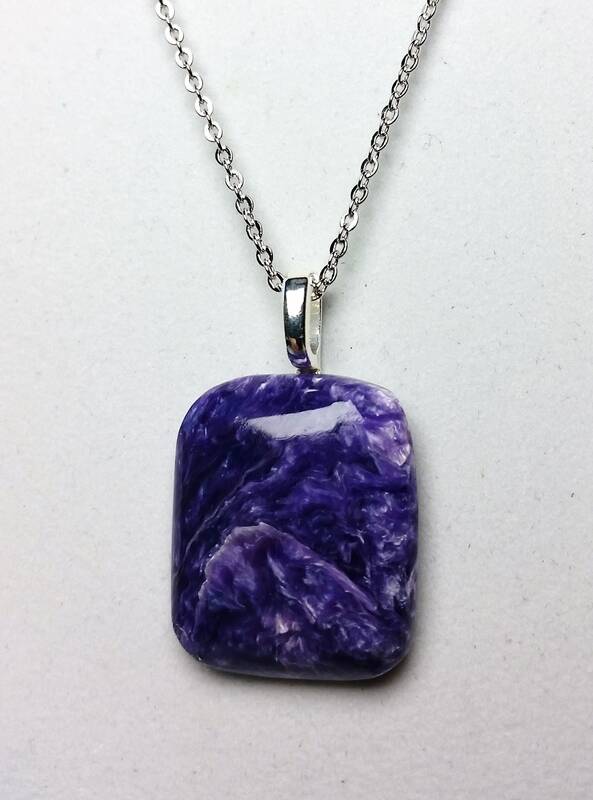 Charoite is said to be a stone of transformation, associated with the heart chakra.